I've posted many times that I love when a Kickstarter funds, then goes on sale to the general public. Now, most games that do that are months after the projected release date. Well, Legendary Games is doing something not a lot of Kickstarters can claim: releasing 2 months early. So if you want to get their 2099 Wasteland RPG book, you can now. 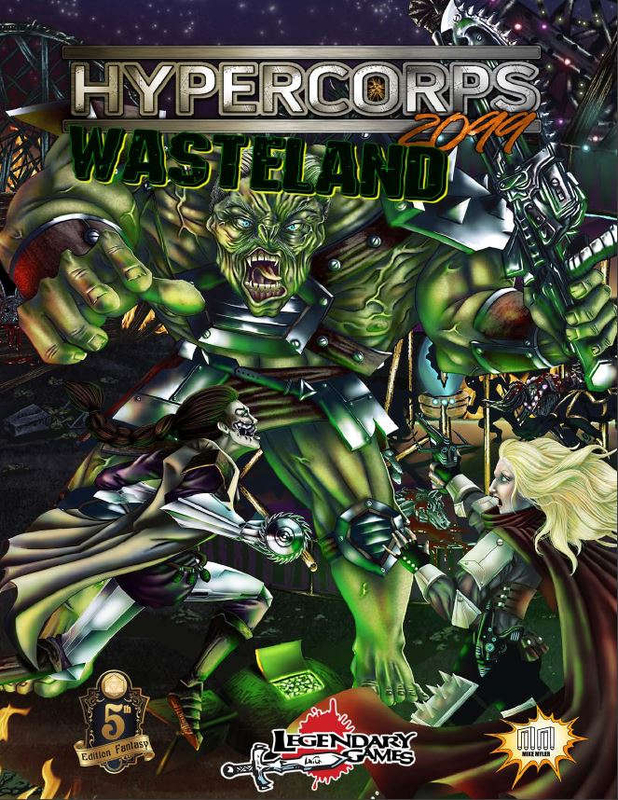 Legendary Games has just published Mike Myler's fourth campaign setting, an alternate universe of Hypercorps 2099 where nuclear fire has ravaged the Earth! This Kickstarter has delivered rewards 2 months ahead of schedule and produced a gorgeous book 50% bigger than originally anticipated -- check out the 41 page preview on DriveThruRPG.com and see if this apocalyptic world generator is right for your D&D 5E game!